Today we look into the world of optical illusions. 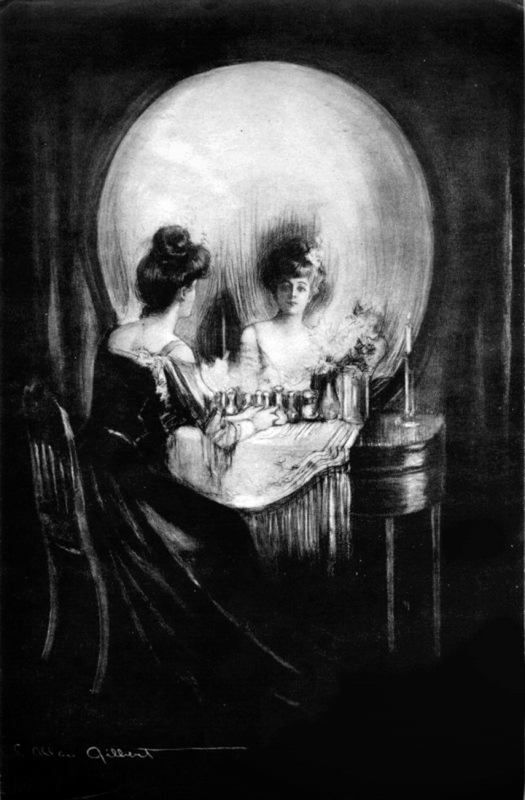 We pay special attention to the art of Charles Allan Gilbert “All is Vanity” and how it has inspired a whole genre in art called “visual pun”. Charles Allan Gilbert (b. 1873, died 1929), better known as C. Allan Gilbert, was a prominent American illustrator. He is especially remembered for a widely published drawing (a memento mori or vanitas) titled “All Is Vanity”. 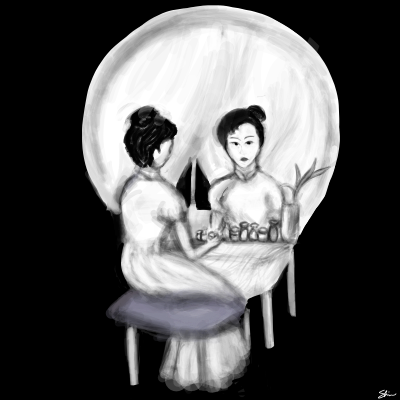 The drawing employs a double image (or visual pun) in which the scene of a woman admiring herself in a mirror, when viewed from a distance, appears to be a human skull. The title is also a pun, as this type of dressing-table is also known as a vanity. 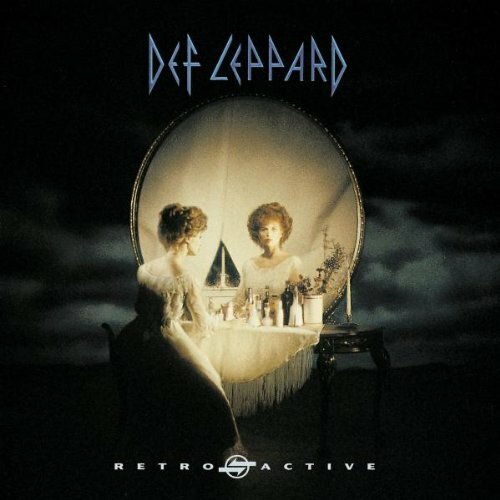 Retro Active is an album by English hard rock band Def Leppard, released in 1993. The album features touched-up versions of B-sides and previously unreleased recordings from the band’s recording sessions between 1984 and 1993. The album charted at number 9 on The Billboard 200 and No. 6 on the UK Albums Chart. 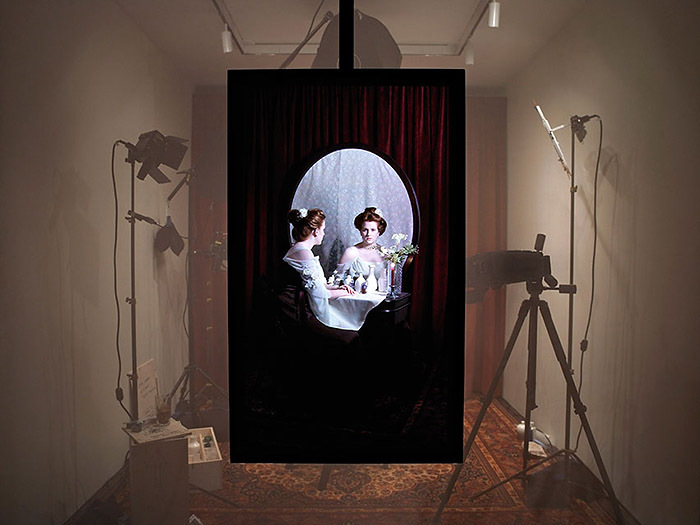 The album cover, by Nels Israelson and Hugh Syme, is a photograph of a lady sitting at a dressing table, looking in a mirror. 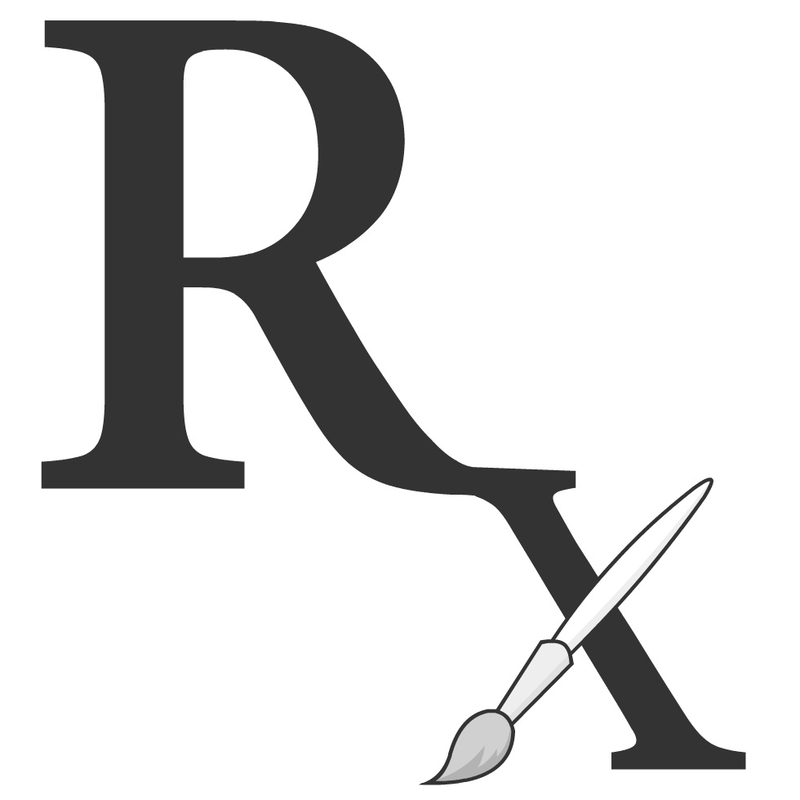 However, if the cover is viewed at arm’s length or from a distance, it takes the form of a skull (a type of vanitas art), the woman’s head forming the left eye socket, and her reflected head in the mirror forming the right eye socket. 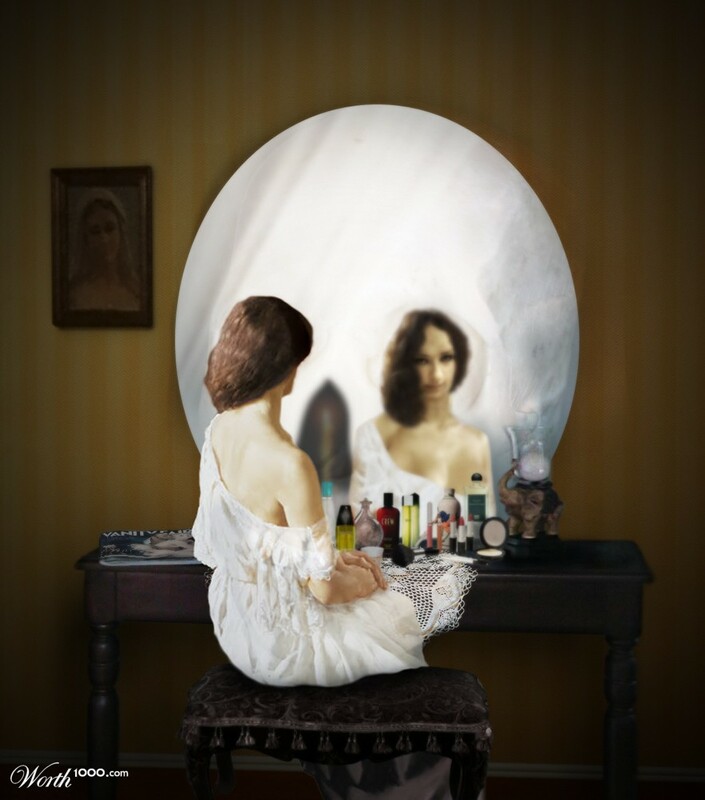 The mirror itself forms the shape of the skull and the accessories on the dressing table form the nose, nostrils and teeth. 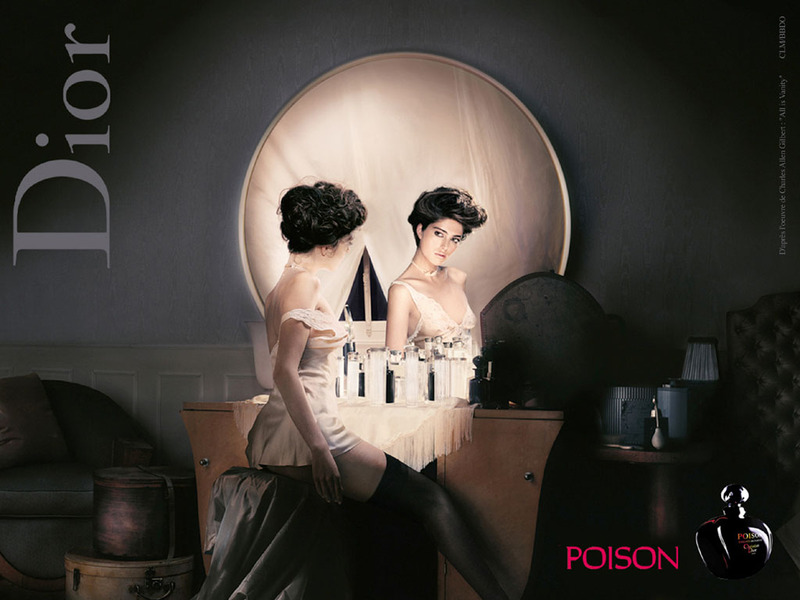 It was inspired by Charles Allan Gilbert’s most famous work, All Is Vanity (1892). So do…examine your values and priorities in life as you reflect on death this Día de los muertos. 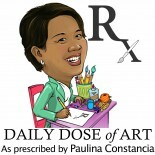 This entry was posted on October 29, 2014 by Paulina Constancia in Create, Imagine and tagged painting, world cultures.